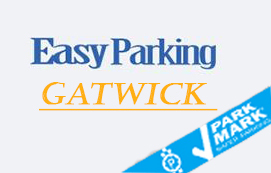 Gatwick Parking - Compare Cheapest Deals Now! Why EzyBook for Gatwick Airport Parking? The second most crowded international airport of United Kingdom is the Gatwick Airport. It is also considered as Europe&apos;s leading airport. Gatwick has approximately 55 flights taking off from the airport every single hour, making it the the world&apos;s most bustling runway with point to point flights. It contains two main North and South terminals as well as a single runway (although a secondary runway is also present). Due to the massive amount of passengers boarding the flights every hour, parking at Gatwick Airport often becomes an undeniably tough problem to solve. So, in order to provide our customers with the ideal beginning of their journey, we let them book an easy to approach space at our supplier&apos;s car parks who have excellent customer ratings. Pre-booking at EzyBook will save you from spending countless hours searching for vacant, cheap and easy to park spaces. Once booked, all you need to do is drive to the terminal chosen while booking and professional chauffeur will park your car. You can aboard your flight knowing that your vehicle is in the right hands. You will receive your car upon your arrival. Meet and Greet Parking service at the Gatwick Airport offers this and more! Ezybook Airport Parking can help you with parking your vehicle in approachable compartments which can be proven expensive when searched by any other website. Get inexpensive airport parking deals here on Ezybook without having to deal with any additional problems and unnecessary procedures. You are more than welcome to compare Gatwick airport parking prices and book the deal you prefer!